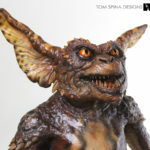 Our conservation of a Gremlins stop motion puppet, preserving this piece of Hollywood history for the future. Even before a movie prop arrives in our New York studio, we take a great deal of time to discuss each project with our clients. 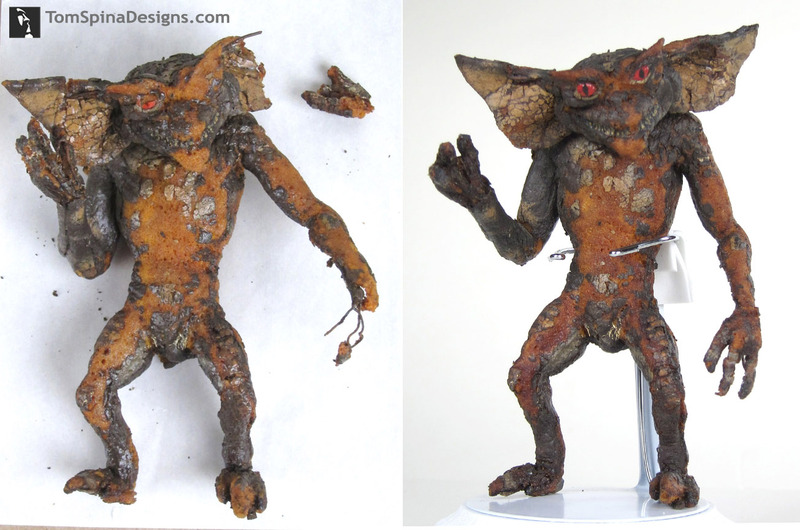 This very rare foam latex Gremlins stop motion puppet from the 1984 classic was no different. 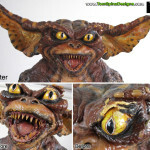 Based on the their desires and the specific condition of the foam on the original movie prop, we arrive at the proper approach and style of restoration that is right for each particular piece of film history which we work to preserve. Some clients are looking to preserve the piece in its current condition rather than restoring it. A conservation rather than restoration. 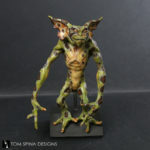 This was the case with this small, foam latex stop motion Gremlin puppet. 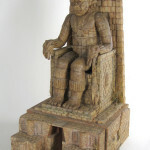 Minor repairs were made per the client’s wishes, but he was mostly preserved in his current condition. The minor repairs included a few small areas such as the left hand and left ear but nothing dramatic. We also did some small areas of touchup paint on the face to bring back a few more of his facial features. Sometimes, even a tiny bit of restored paint can drastically help how a prop will display. Finally, we sealed the foam latex on the stop motion prop to help slow down the hands of time. The end result is a great improvement in terms of how the movie prop looks and its stability. Have a collectible or movie prop you’d like to showcase and protect? 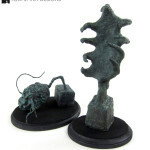 Visit our custom display cases for sale page and request a quote!